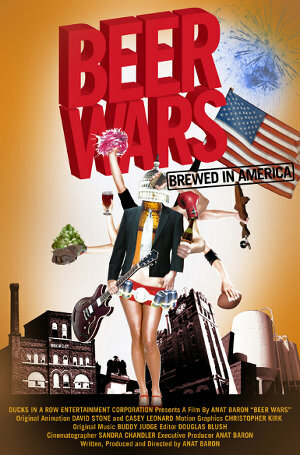 Coming to theaters for one night only, Thursday April 16th, Beer Wars is a documentary that explores the beer industry and the battle between craft brewers and the big guys. This film features interviews from not only craft brewers like Greg Koch of Stone Brewing and Kim Jordan from New Belgium, but with some of the biggest names in the beer business such as Norman Adami, CEO of Miller Brewing Company and Bob Lachky the Executive Vice President of Anheuser-Busch. Filmmaker Anat Baron tells this story through two craft beer entrepreneurs Sam Calagione of Dogfish Head and Rhonda Kallman co-founder of The Boston Beer Company. This one night event is hosted by Ben Stein and features a live discussion with some of America’s top craft brewers after the show. For more details and ticket sales click here.